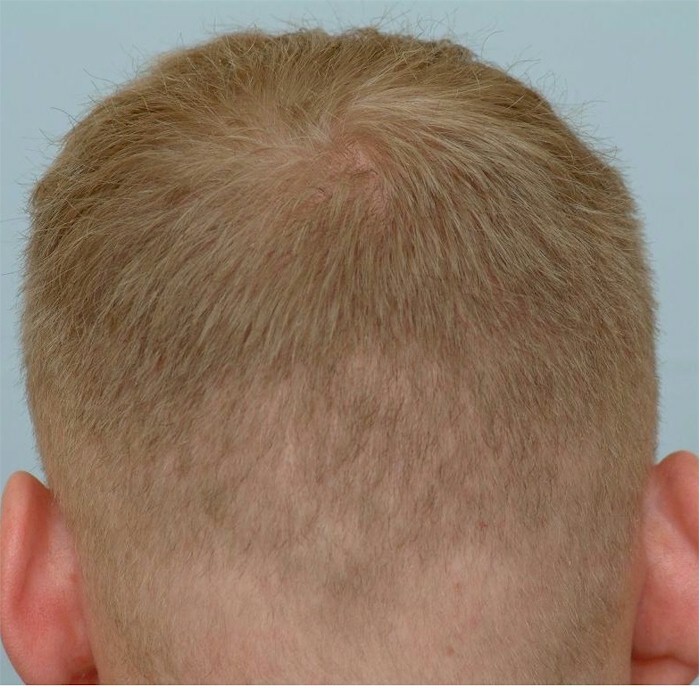 I received 1304 Grafts via CIT or FUE from Dr. Cole and staff April 25th. Below is a little more information. I have been losing hair for a little over 6 years (I am 25) and basically researching on internet forums since around then. I have never posted too much but have read quite a bit. I knew from the start that I would never do strip and have followed Fue and BHT for a while. 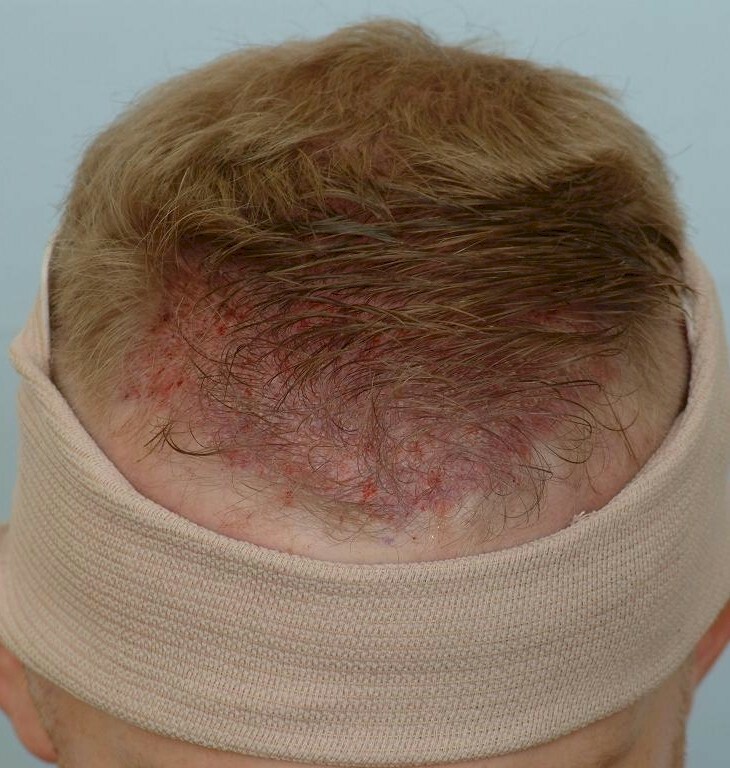 Due to the fact that I only have some thinning in the first inch or two of my hairline I just got some Fue done and that will hopefully hold me over for quite a few years while BHT or other discoveries come about. 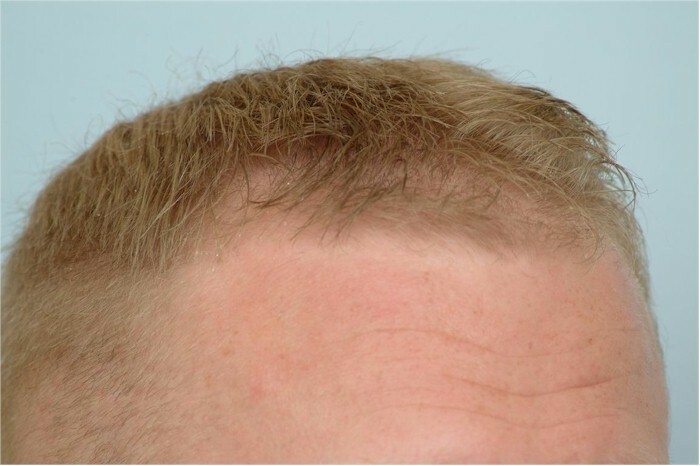 I think based on the number of grafts I can use via Fue and that I have medium/slightly wavy blonde hair that I could get a good result. 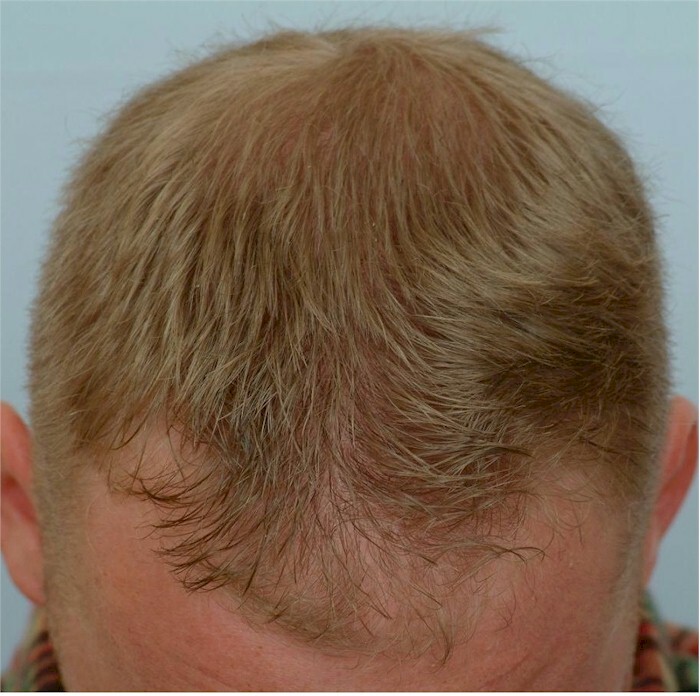 I have been using Rogaine and Propecia for a little over 3 years and it has slowed my loss down and I am pretty happy with the medications so far. As far as choosing a Doc when I first started researching I thought I would probably go to Dr. Cole from hearing about his work and seeing some of his results. I actually scheduled a procedure with GHI because they had some nice results, were very close to where I was living, and the cost was pretty low but due to them closing their clinic I backed off for a little while to research more. I had also been following Dr. Umar’s work and was thinking of scheduling a procedure with him but I believe the prices raised or a promo ended so I thought about it and a lot of his work was mixed with BHT so it was hard to see the yield because of mixing types of grafts. So I felt pretty confident with Dr. Cole even though he seemed to get bad publicity here and there. One reason I never posted on the forums much though was because of people backing there docs so they don’t look like they made a stupid decision. It ends up turning into people get pissed and ripping on other doctors so I don’t believe a lot of the things on this forum…but like I have heard the proof is in the results. Dr. Cole did have many amazing results so I decided to go with his clinic and was very confident. My biggest worry wasn’t my yield or recipient so much as the extractions because I have heard and seen some white dots and while they aren’t that bad I was more worried about transecting grafts around the extraction point. I know due to my technical background that there are only a specific number of grafts to be moved which I belive by just Fue to be only around 5 or 6,000 for an average person. Cole did take some density measurements and I need to get his thoughts on my future number of grafts available but I did ask him during the procedure and he said I was average. The reason I am not worried about white dots as much now is because I cut my hair on the sides and back at a #3 or 4. For the procedure I shaved my back and sides and left my hair on the top trimmed so I can disguise the procedure. 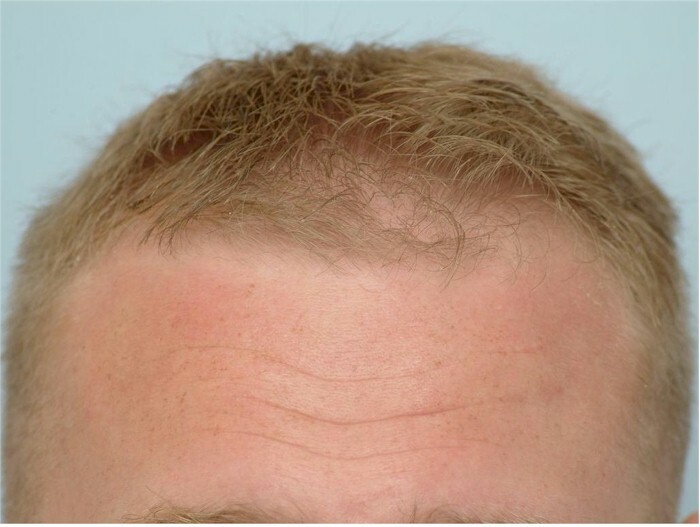 This makes it tougher on the clinic placing the grafts and possibly a higher risk of transecting existing hairs or causing shockloss but with the magnification they use I believe it can be done and was a definite necessity for my procedure. The procedure was not bad at all. A few of the needle pokes for anesthesia hurt a little but the main downside of the procedure was sitting in the chair for 8 hours. Dr. Cole was definitely fully in charge and was constantly in and directing what to do and doing it himself, basically the same as everyone else has said of their procedures with Cole lately. The technicians or whatever you call them were all knowledgable and even a few of the girls were very cute which is never a bad thing when I have nothing better to do. I basically just sat there and watched some movies and asked a few questions now and then. A couple of times I started dosing off so it was not like it was a painful procedure. I was originally scheduled for 1000 grafts and ended up getting 1304 which was great of the clinic to do for me. They placed grafts in the first inch or two of my hairline to secure the hairline so hopefully I will be good for years to come. Post-op I have followed Cole’s post-op procedure and have been using the Biotin spray on my recipient area constantly. I do feel like I have had a little shockloss in the recipient but it is hard to tell because I am not styling it at all so it is tough to make a comparison. I do have a lady coming over Saturday (which is just past 8 days post-op) so I will have to dim the lights and tell her not to touch my hair for some reason. I am having a little problem with the donor healing and some irritation but I think that is most likely due to the hydrocortisone. The photos are not uploading correctly so I will email them to Hairsite and hopefully he can take care of them. Thanks for emailing me your pictures. There is indeed a problem with the forum upload feature. Sorry for the inconvenience. It would be helpful if you labeled the pics, are they before pics (except for the bottom one) ? » for the bottom one) ? All the pics are from the clinic and the first 4 pictures are pre-op. The last picture is post-op. » » for the bottom one) ? » last picture is post-op. Did they do that C2G technique on you? » Did they do that C2G technique on you? No I don’t think so. I inquired whether it was being used or not before surgery and one of the office people said it still wasn’t ready for implementation. I also have some 10 day post op pics which will post or email once I get a chance.